This is a blue/green duochrome shimmer that sometimes picks up a pink shift in certain lights. It’s very sheer and needs 3 coats for full opacity. 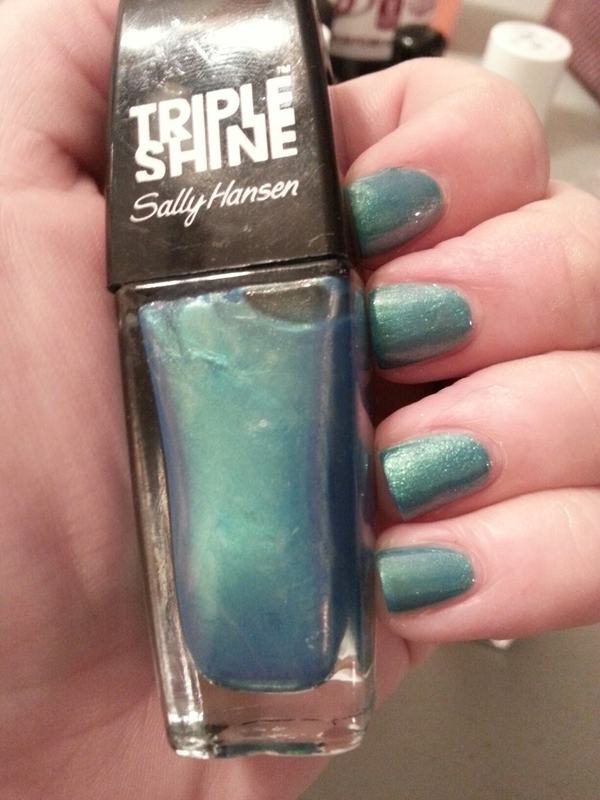 This entry was posted in Nail Polish Collection and tagged blue, duochrome, nail polish, sally hansen, shimmer, swatch, swatches on March 18, 2016 by Mel.